Eucalyptus is unique species to the South. Bark still has some using value. The eucalyptus Paper shredders manufactured by Xinfei is the device specifically for eucalyptus skin, bamboo, bamboo bark, bark and other materials. The fiber of the eucalyptus skin is very long, the general mill can not meet customer needs. 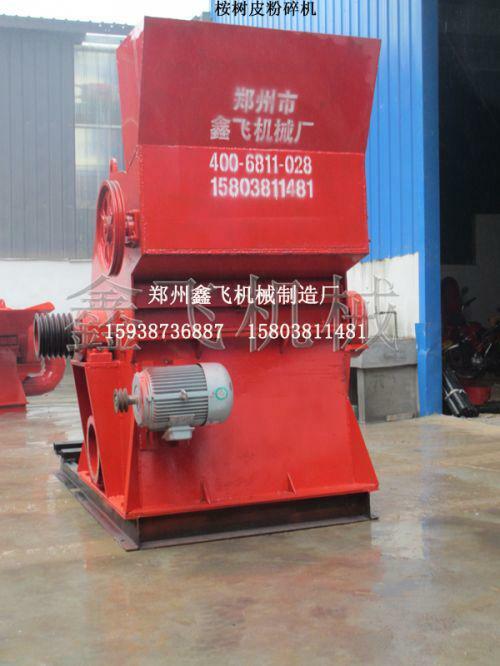 But eucalyptus skin has a lot of values, many experts from Xinfei Joint Machinery Manufacturing Institute, developed the latest eucalyptus Paper shredders. This kind eucalyptus Paper shredders can crush eucalyptus skin into different sizes of sawdust-like or fibrous directly. The eucalyptus Paper shredders is not only used in eucalyptus skin, slab, branches crushing, but also used in the processing of all kinds of the crop stalks and forage. It is widely used in prepared section of papermaking, power, plywood, refine alcohol, mushroom, charcoal, particle board, sawdust board, HDF, MDF and the single production base of wood flour (sawdust).